In Camps Bay, self catering accommodation is a cut above the rest. These plush apartments are designed to ensure that you get the most out of your holiday experience in this affluent area. Are you planning a Camps Bay self-catering holiday, but are not sure where to stay in the area? 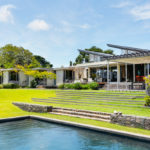 These three vacation villas are packed with pleasant surprises, plus we have a few exciting ideas to add to your Camps Bay to-do list. Summer in town means long walks on the beach, and of course – a stop at the iconic Sinnfull Ice Cream parlour for a taste of their amazing ice-cream along the famous promenade. Throughout Camps Bay, self catering villas and apartments surround the most amazing cafés, eateries and coffee shops – each a destination worth visiting. When you stay in Camps Bay, outstanding food is never more than a few minutes away. A self-catering apartment gives you the convenience of lock-up-and-go living, which frees you to explore the many wonders of the area at your leisure. This area is the preferred holiday spot for people of influence, from A-list celebrities to business tycoons. When you book a Camps Bay self-catering holiday in one of the area’s top apartments, you’ll enjoy a taste of the elite local lifestyle. Ask yourself, “Where can I find a Camps Bay self-catering apartment?” With these exclusive options in the most treasured neighbourhoods, you’ll be dining among the stars in no time. This open-plan beach apartment is all about taking it easy. Sit back, slip on your shades and soak up that sensational ocean view from a sprawling deck. This elegant Camps Bay self catering rental has space for 6 visitors. It’s a short stroll away from the palm-lined promenade, where guests can rub shoulders with the area’s VIPs. Rock 3 is tastefully furnished and equipped with high-end Miele appliances. Everything you need for cushy apartment living and exquisitely lazy summer days is here. For your to-do list: Café culture is a big part of the local lifestyle. Step out and explore the coffee shops along Victoria Road; these trendy nooks are great for people-watching, business meetings or catching up with old friends. This colonial-style home has been refurbished to create a modern apartment that still retains a little old world charm. Situated on the quieter side of Camps Bay, self catering Terrace Lodge will appeal to the discerning holidaymaker that wants immersive relaxation. You can walk there from Bakoven beach, where the local “in crowd” hangs out, if the quiet stops inspiring you. Through the sash windows of this Bakoven villa, you’ll enjoy a view of the secluded beach that’s only available to residents and holidaymakers. Another highlight of Terrace Lodge is the solar heated swimming pool, perfect for late-night dips. For your to-do list: The sunsets in Bakoven are especially beautiful, and prime you for a sunset beach tour for your loved one. 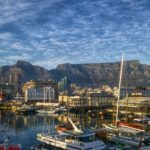 Cape Town Etc has a list of the best beach spots for watching sunsets in the Mother City – including Eden on The Bay in Blouberg and Beach Road in Sea Point. Don’t miss the opportunity to snap some sensational holiday photos while you’re here. 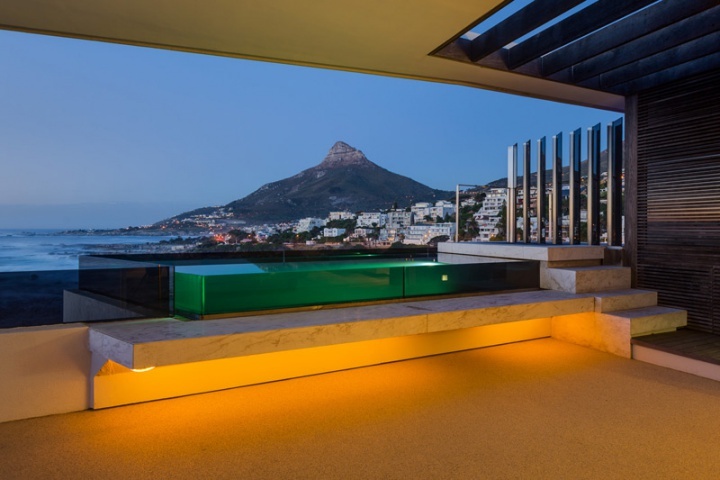 This contemporary Camps Bay self catering, 3 bedroom apartment, has some of the finest modern architecture in the area. Tidalwave was designed by Greg Wright, combining elements of glass, fine wood and stone finishes. The apartment’s furnishings include items by prestigious designers like Philippe Starck and Pierre Cronje. Holiday life is a dream in this upscale Camps Bay self catering home. Tidalwave has secure basement parking and direct elevator access into the apartment. It’s close to Camps Bay Village and the beach, so your days can flow seamlessly from one activity to the next. After a day at the beach, sink into the glass rim-flow plunge pool, and enjoy the view of Bali Bay among friends or business colleagues. For your to-do list: Book at one of Camps Bay’s dazzling nightspots, where you will party until the early hours alongside the rich and famous. 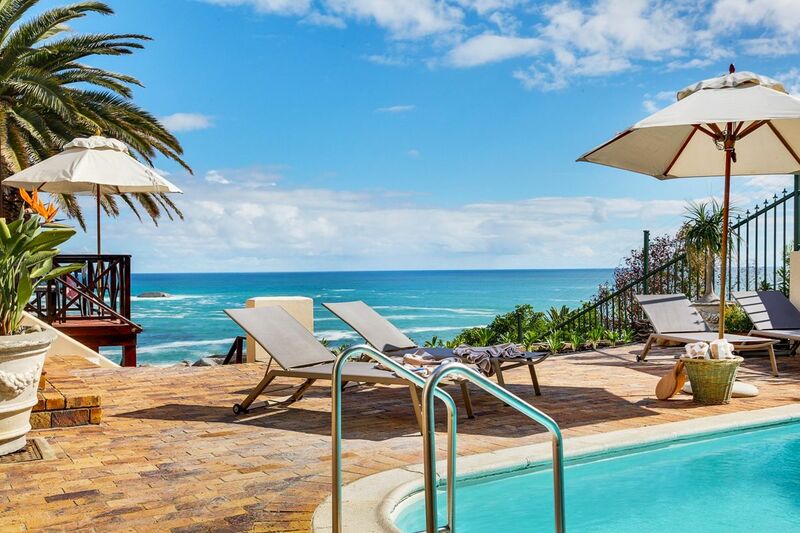 Don’t you think it’s time you experienced Cape Town’s most in-vogue holiday location for yourself? Whether you need to get away to recharge, host a business meeting in SA or are here to visit friends and family – the right location will make your trip that much better. Speak to the consultants at Capsol about booking your ideal Camps Bay self catering apartment. You can also view our entire selection of luxury Camps Bay apartments here.